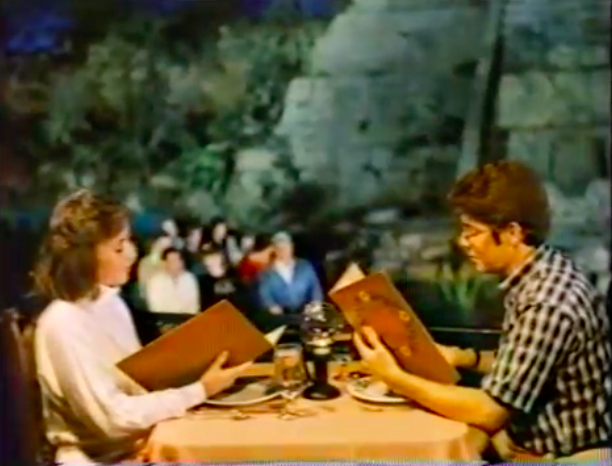 Last time we took a look at a 1984 video brochure for EPCOT Center. This one, called “Follow Us”, came out at the same time but has an expanded scope to the entire Disney World area. At the time this included the Magic Kingdom, EPCOT, Discovery Island, and the resorts. The video starts off with a pretty sassy dance number. 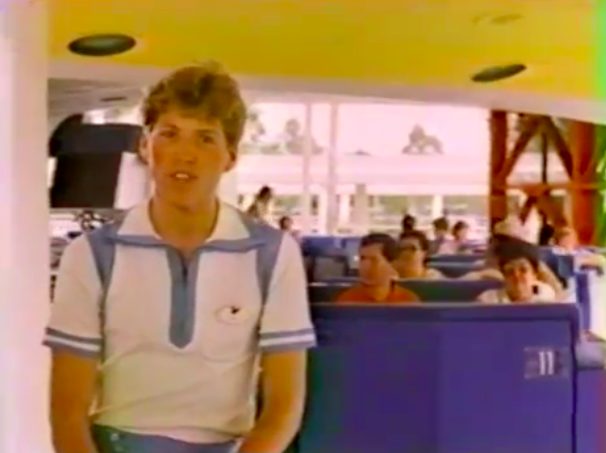 Interestingly, the video is completely hosted by cast members – Disney’s term for in-costume park employees. Different cast members take the viewer through the various areas of each park, speaking to what is presumably their area of expertise. Snow White even pops in to talk up Fantasyland. The EPCOT focus is mostly a shortened version of what we saw last week. The mime and that Mexican pavilion pair of diners who are in all EPCOT promo media show up here, too. The last third or so of the video is about the resorts – a pretty large amount of time to dedicate to that sort of thing. It’s easy to forget that at this time the hospitality aspect of Disney World was still pretty new territory for them – everything else was (mostly) old hat. The video wraps up in a cheesy inspirational singalong, complete with sign language. 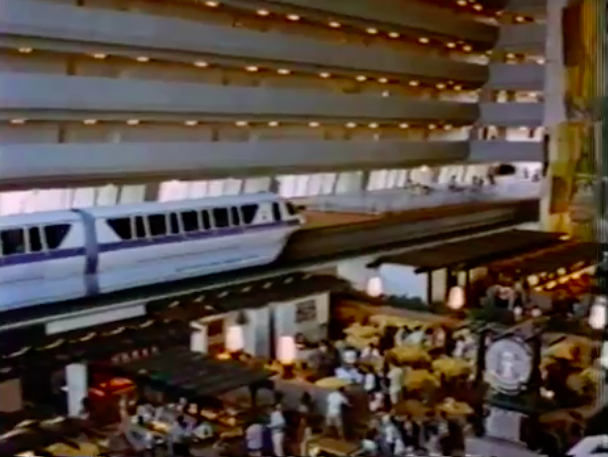 I feel the same way about this that I did with the EPCOT video – it captures a moment in time of WDW’s history that doesn’t exist anymore, and it’s worth watching just for that. Throw in an ’80s sensibility about how to sell this sort of idealistic experience and it’s a pretty satisfying watch. 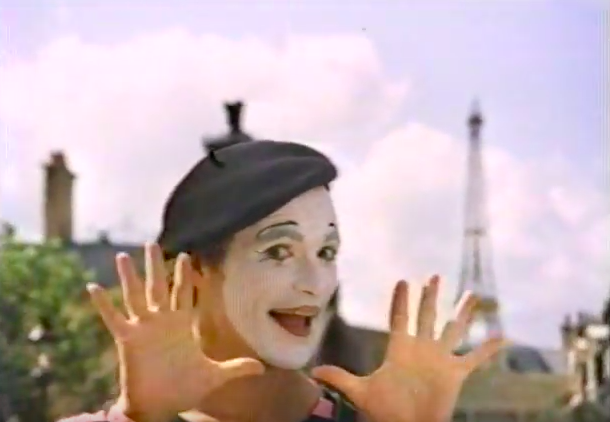 The creepily-smiling masked Burger King of the 2000s is iconic enough in his own right, but he’s actually a reboot of an earlier fully-human magician mascot called The Magical Burger King. Here he is in all of his glory, performing basic magic tricks to a crowd of tolerant children. In the early 1960s, Jim Henson was hired to make a short film for Bell Labs exploring the relationship between man and machine. I’d say he nailed it. Does it get more eighties? I’m in! 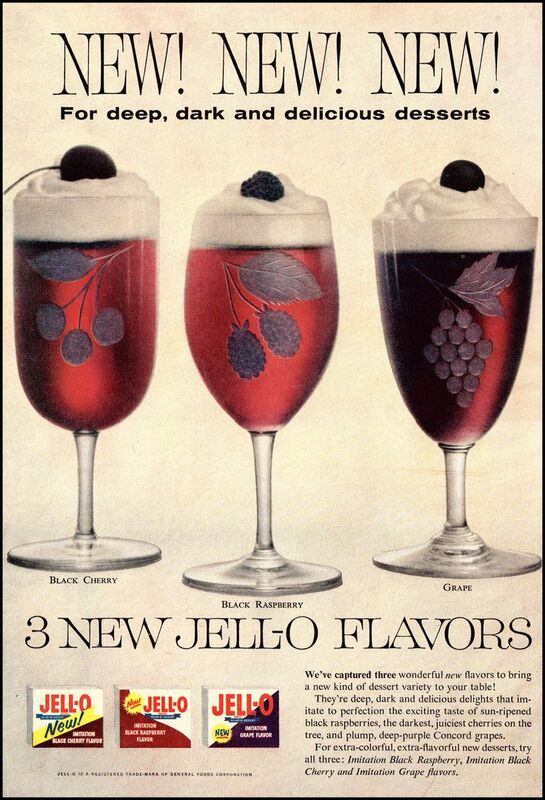 This vintage Jell-O Ad gives Jell-O the class it deserves.